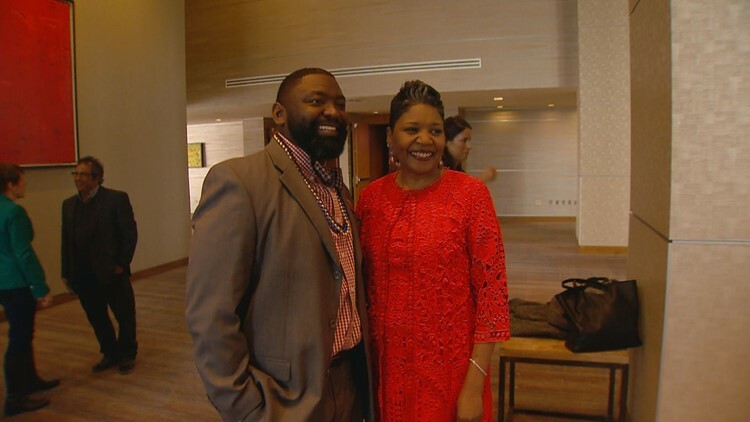 DENVER — 9NEWS and the Denver Metro Chamber Leadership Foundation have selected Dr. Nita Mosby Tyler as the winner of the 2019 9NEWS Leader of the Year award. Tyler founded The Equity Project and The HR Shop after running operations and human resources departments for large organizations. She said she saw the challenges they faced around strategies for diversity, equity and inclusion. Dr. Nita Mosby Tyler was named the 2019 9NEWS Leader of the Year. She's also active in the community, including being the chair of the Denver Foundation Board of Trustees. Tyler beat out two other finalists – Anthony Aragon and Andrew Schmidt – to become the 2019 winner. The nominees were selected by a committee of local community leaders. The 2019 Leader of the Year award was announced live at the Leadership Foundation’s Leader Colorado luncheon on Thursday. The event recognizes exceptional leadership in the community while raising scholarship funds to support emerging leaders who want to further develop their skills and use them to make the community better for all. You can watch a live interview with Dr. Nita Mosby Tyler on Friday morning at 7:20 a.m. on KTVD Channel 20.